Lions Clubs International was founded in the U.S.A. in 1917 when a group of hitherto independent clubs responded to an ideal presented to them by a young insurance man, MELVIN JONES. The ideal was that the members, as a group, should provide service to their fellow human beings, without regard to politics, religion, race or personal interest to members. A conference of 25 independent clubs was convened and from that meeting Lions International was born. 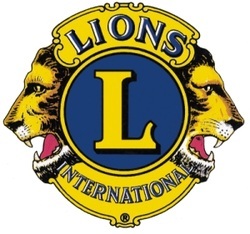 It adopted as its name and emblem the Lion (seen by the founders as a symbol representing their ideals, strength, activity, courage and integrity) and was known from the outset as the International Association of Lions Clubs or Lions International. Within three years the Association had doubled its membership and extended to Canada. Within 13 years there were 2,500 clubs and this figure was approximately doubled each decade thereafter until world membership exceeded 1,000,000 in 1975 when the Birmingham (Exhibition) Club became the 29,000th club in the Association. In 2001 the International Association comprises about 43,000 Clubs in 185 countries or geographical areas with a total membership of 1.5 million men and women. In Ireland there are 106 Clubs with a total membership of approx. 2800. Our District is known as District 133. From the outset the emphasis has been on service, in all forms, to the less fortunate sector of the community. Indeed the Club Constitution (as recommended by the Association) is capable of being adapted by the local club so as to suit its own particular requirements. This degree of autonomy for the individual club together with concentration on particular service are among the principal factors in maintaining the Association's growth and progress. The international nature of the organization, with the potential for contact between the members world wide, based on their common interest in community service, has always been a feature of the Association. Are open to all by invitation (to ensure commitment). Concentrate on the needs of their local community. Raise funds for local, national and international projects. Participate in service activities to all age groups and sectors of the community. Enjoy working together in fellowship. Sight Conservation and work for the blind. Hearing and speech action and work for the deaf. Youth Service and Youth Exchange. Leo Club Programme (for young people). Lions Club International Foundation (for disaster relief). The Association has written a Code of Conduct and International Objectives.